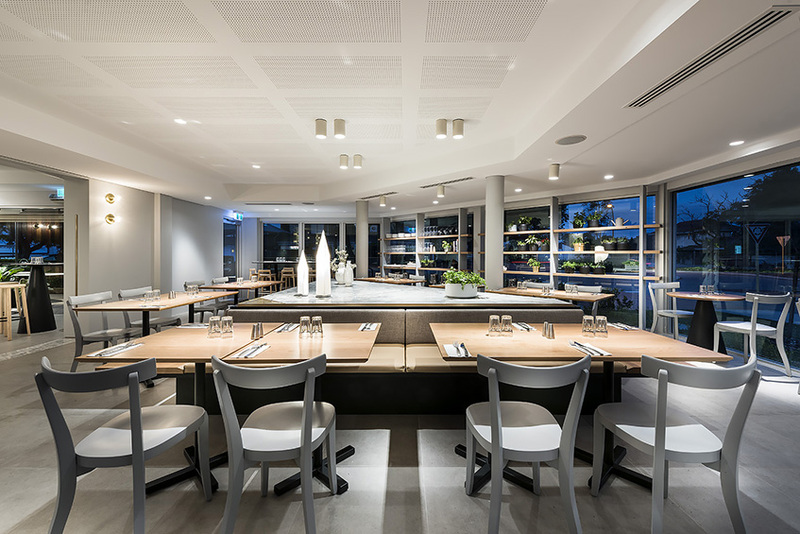 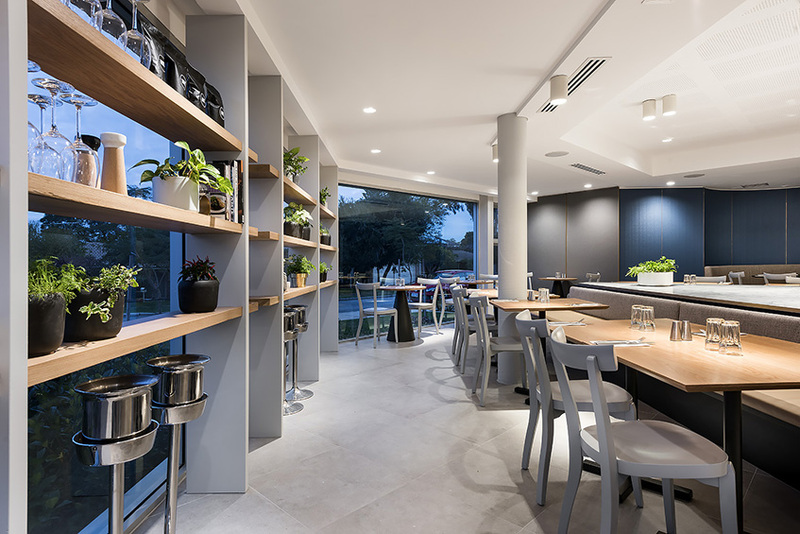 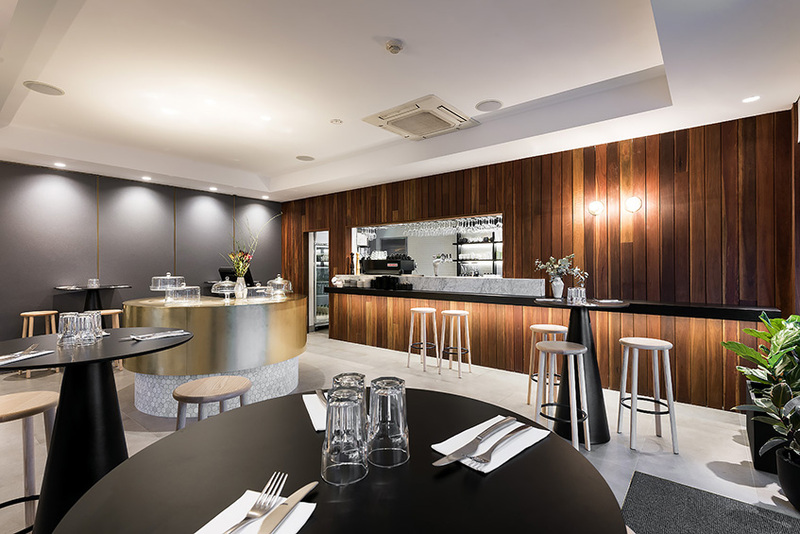 Nic and Kolo in Applecross was a café fitout within an existing restaurant site. 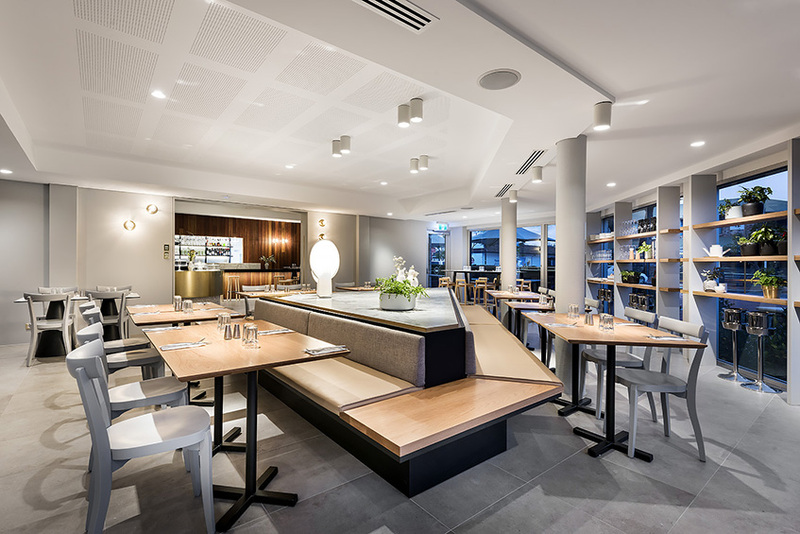 The brief was to create a modern, contemporary space while retaining certain elements such as stone bar front and the angular acoustic ceiling. 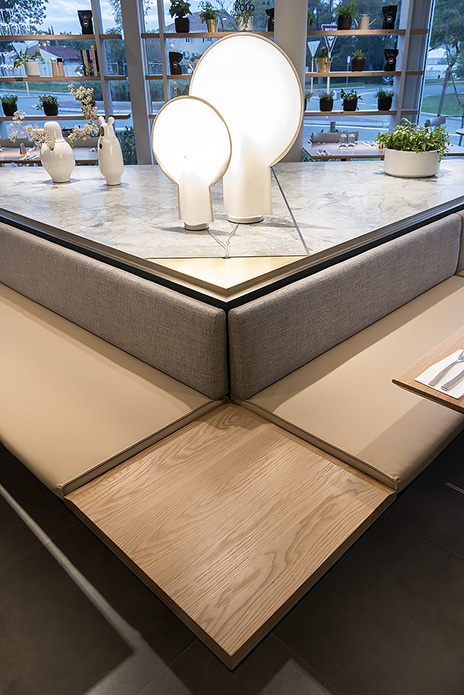 With this in mind, we created a unique triangular banquet seat to ground the space and maximise seating numbers. 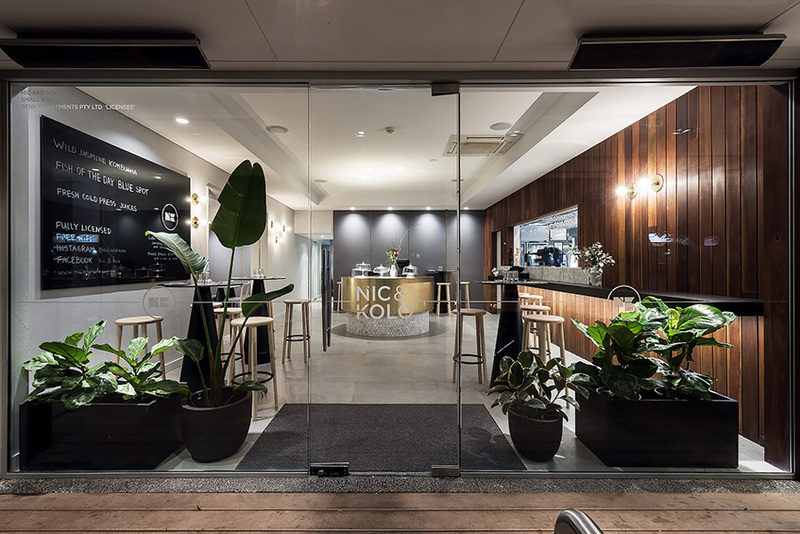 The circular brass counter and solid oak shelf / sun screen are some of the other elements created to give Nic and Kolo a unique identity.